Quite soon the switch flicks and the last joys of summer cede to cooler and above all darker days. 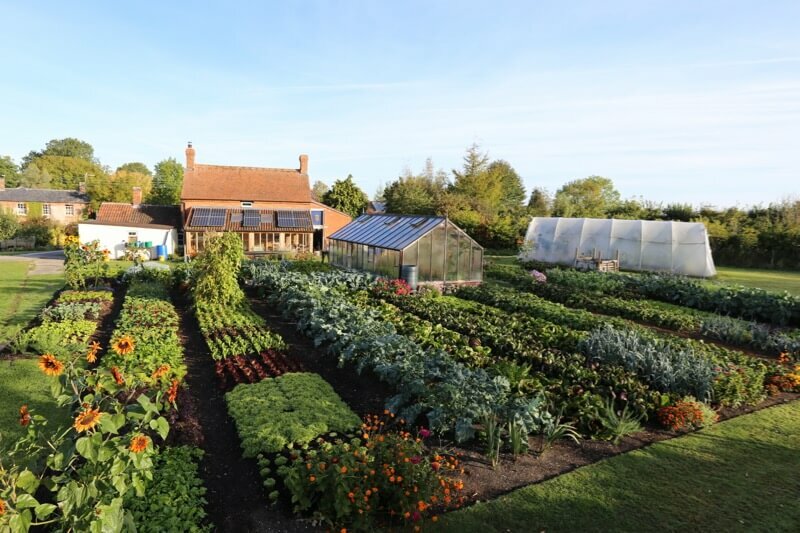 We have had many cool nights already and some ground frost, then many days of sunshine and temperatures 16-19C/sixties F.
No dig means you can quickly clear and replant all through summer. 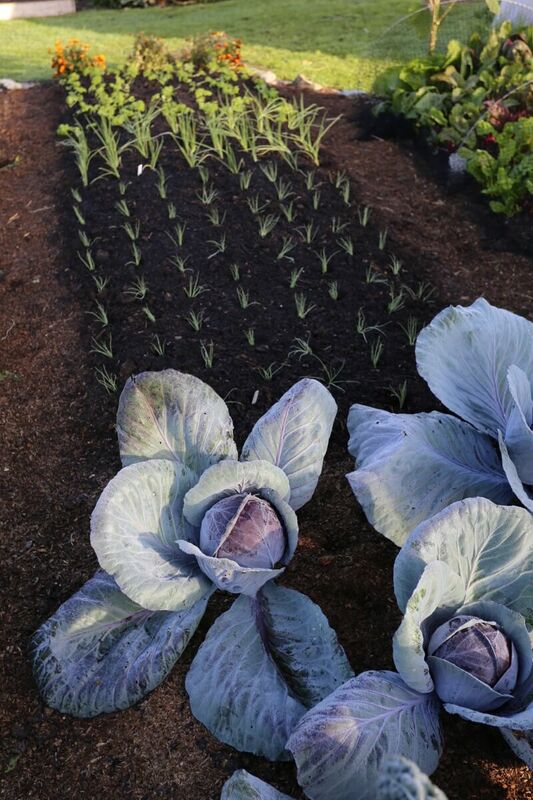 I add no compost for second plantings, and now it’s time to clear the last summer crops and make some last plantings. For more advice of the season, check out Steph’s blog as well. 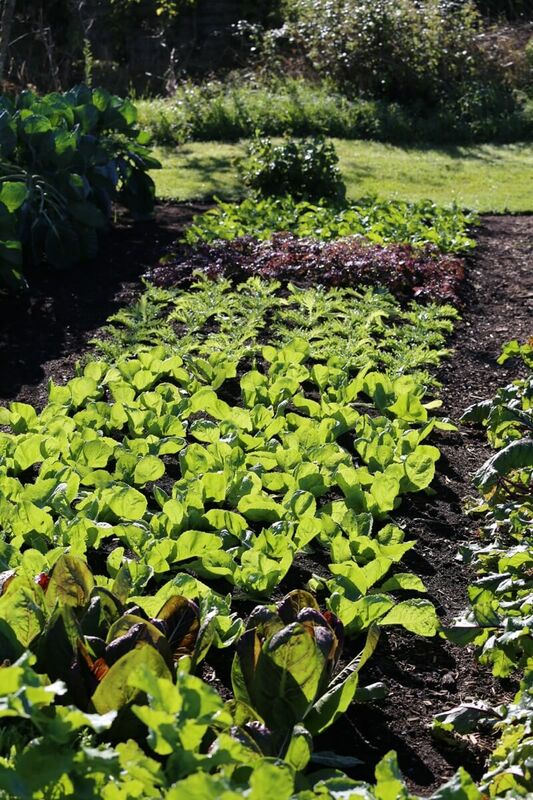 Every bed except one (frosted French beans) still has veg growing. No compost spread since December, no fertilisers. I welcomed Robbie Labanowski and his drone for some aerial shots, on 16th September. What a joy to see from above, growth is so much easier to assess, compared to my stepladder images. 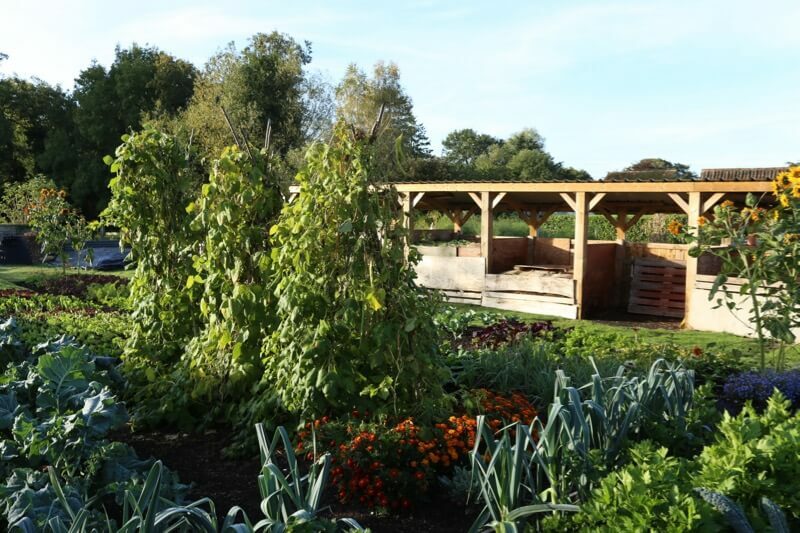 The dig bed has so far yielded 50.5kg of harvests, the no dig bed 66kg, find out more on this page. White Lisbon spring onions are a September favourite for me. 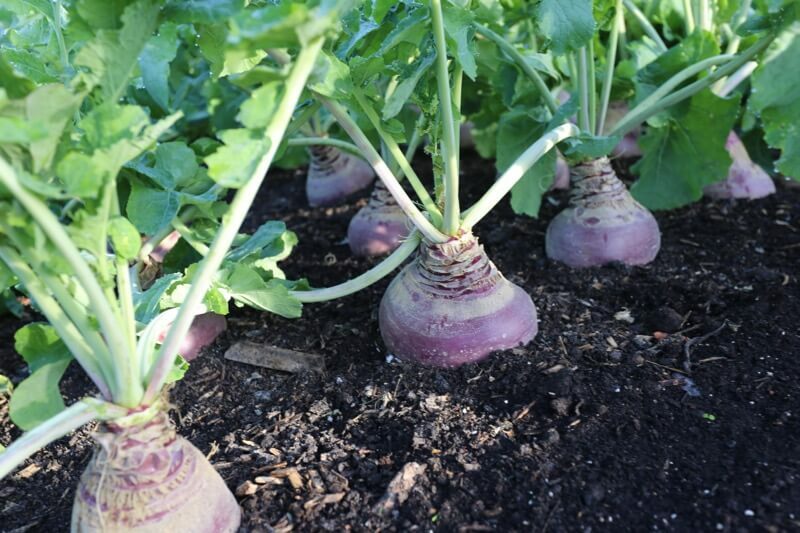 They give harvests of salad onions from April, growing even to bulb onions by end June. 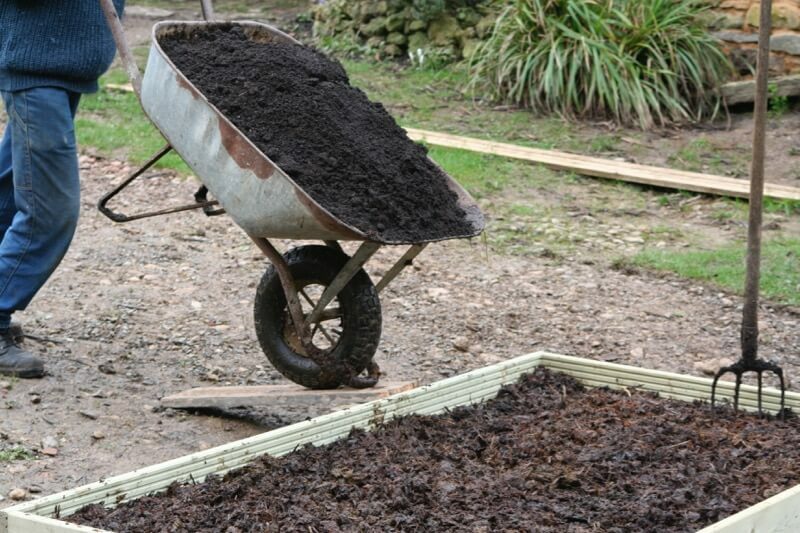 We spread some compost before planting them. 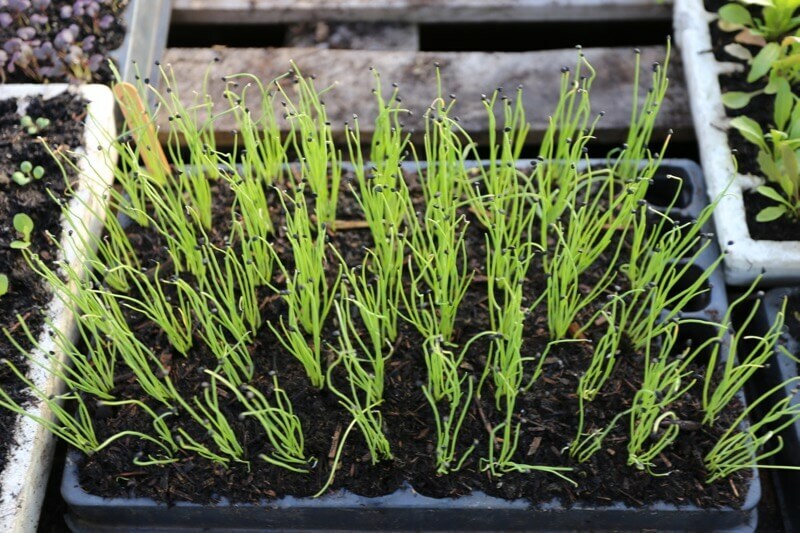 Now is time to plant garlic and this video shows you how. In the cold nights recently I worried about my Czar & borlotti climbing beans, which have more growing to do in order to fill more pods with beans for drying. Already we have harvested many Czar pods, and no borlottis. We wrapped three teepees in fleece, although as it happens I think they would have survived the slight frosts. 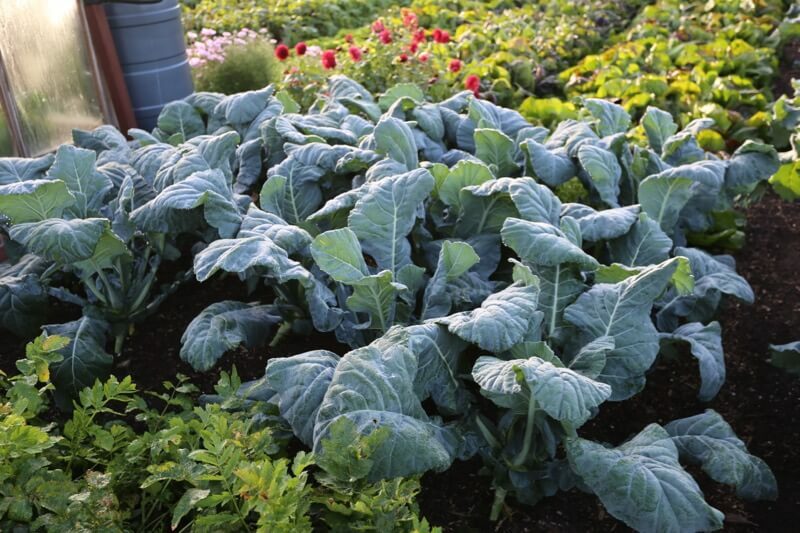 Meanwhile autumn and winter vegetables such as kale and spinach simply grow sweeter after some frost. 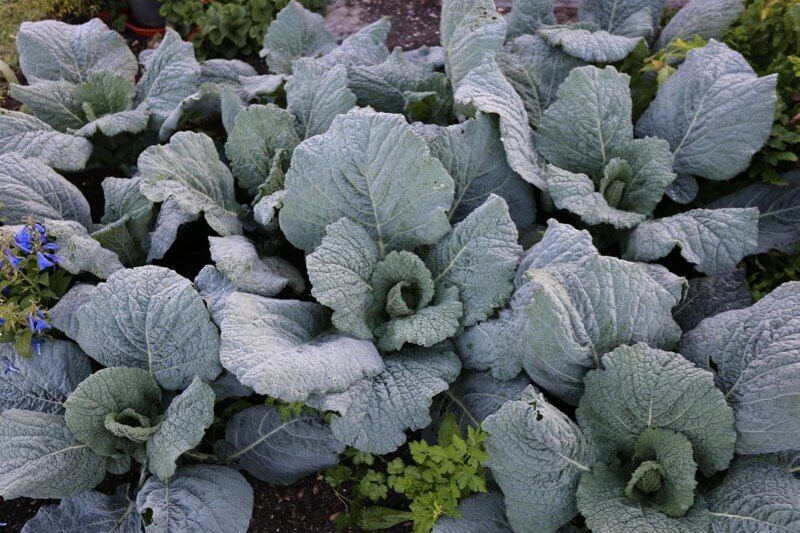 This season sees brassicas and leeks come into their own. During the heat of summer they struggle for moisture and suffer from insects, but now they are showing lovely new growth, with leaves even glowing. 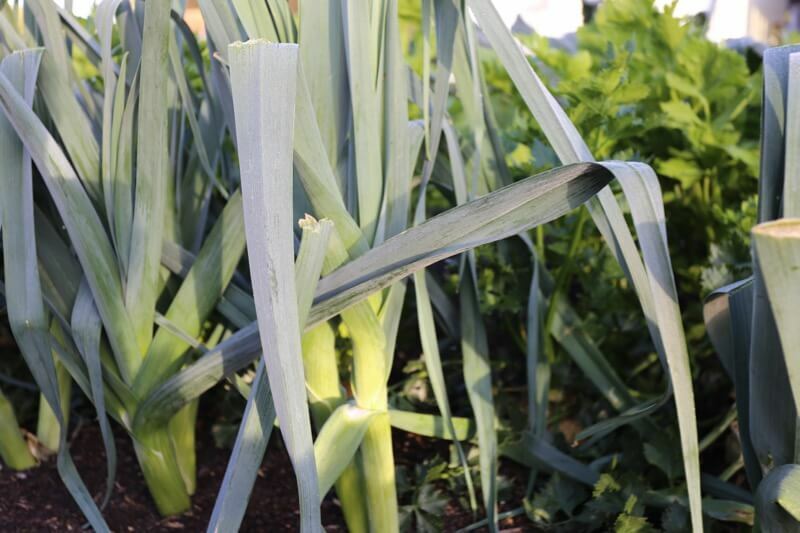 I do have some damage from leek moth, only on plants that were not covered by mesh. For caterpillars on brassicas, we shall do one more spray of Bacillus thuringiensis in mid October: butterflies and moths are still busy. 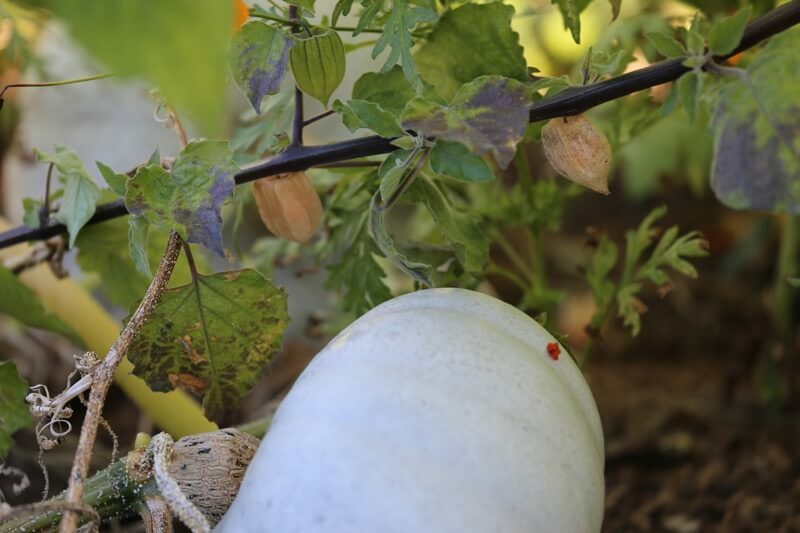 More on pest protection here. 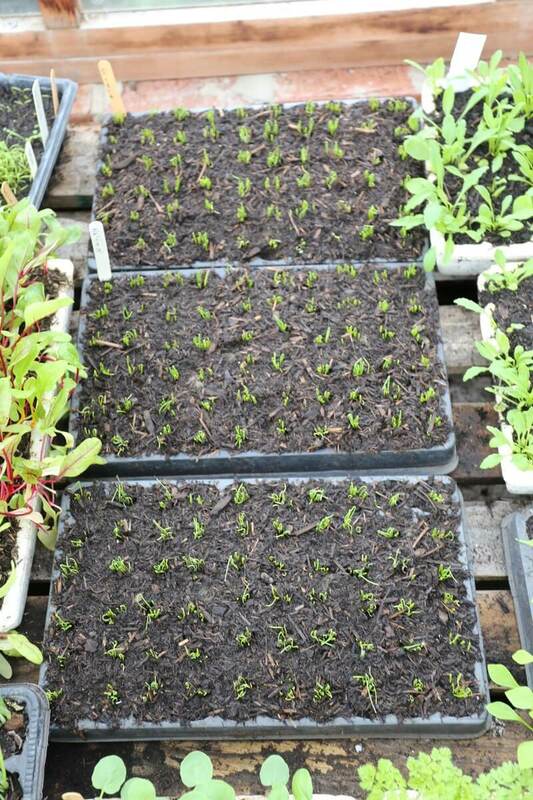 My own seed of Grenoble Red lettuce has grown super fast: fresh seeds have extra vigour, see this video on seed saving. 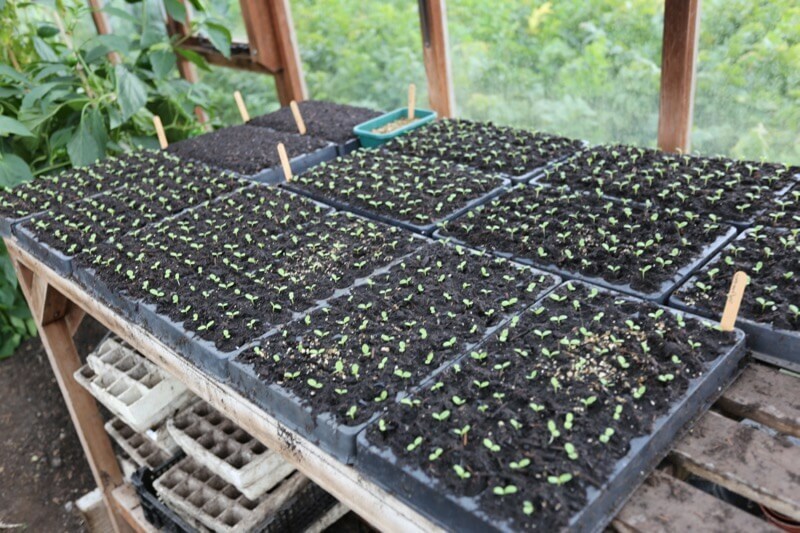 We shall plant them over the next two weeks, after clearing tomatoes, cucumber, aubergines, peppers. 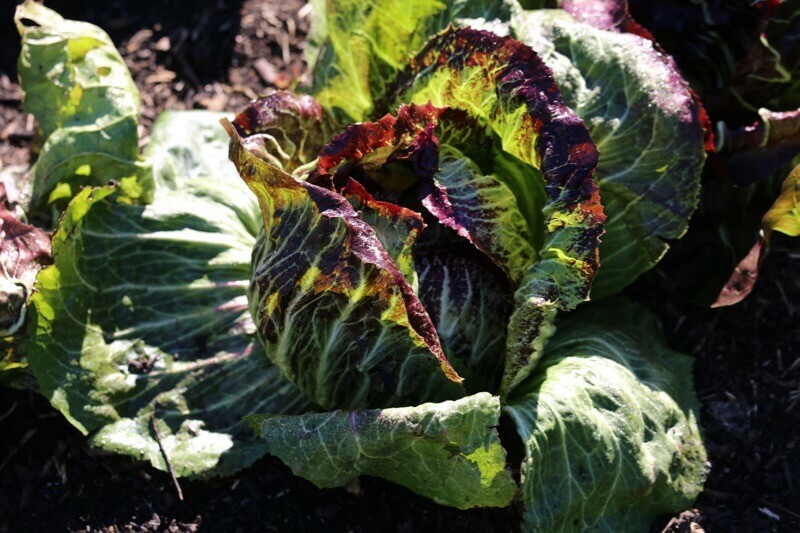 On yesterday’s course here, many participants were commenting on the gorgeousness of all the different vegetables, their fine colours, shapes and leaf lustre. 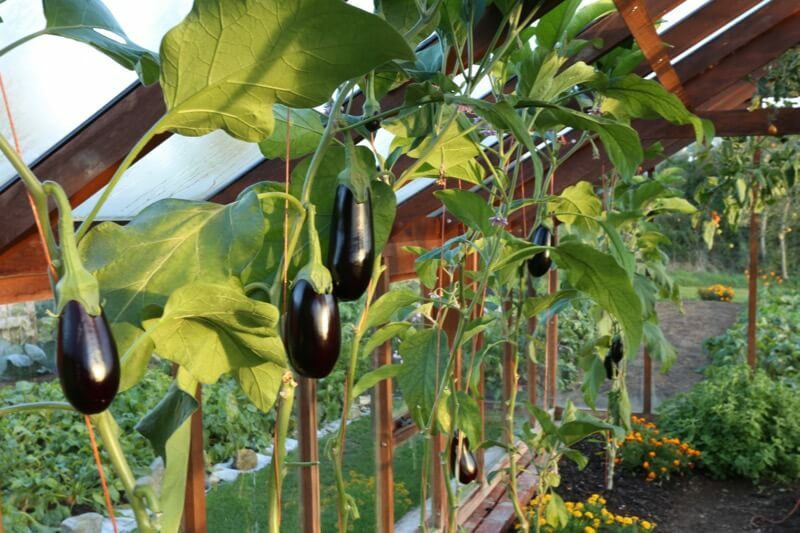 It’s a bonus of grow your own. 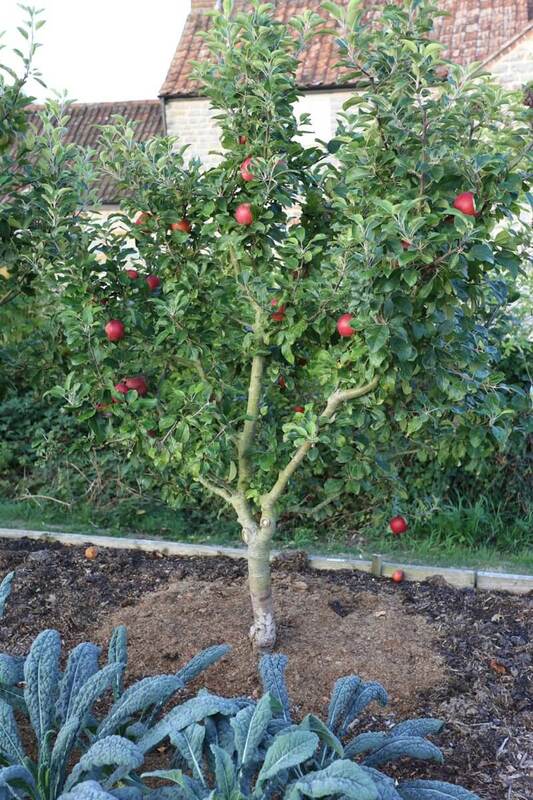 High winds of the equinox blew many of my fruit onto the ground, so they are bruised and will store less long. Homeacres is not very sheltered. 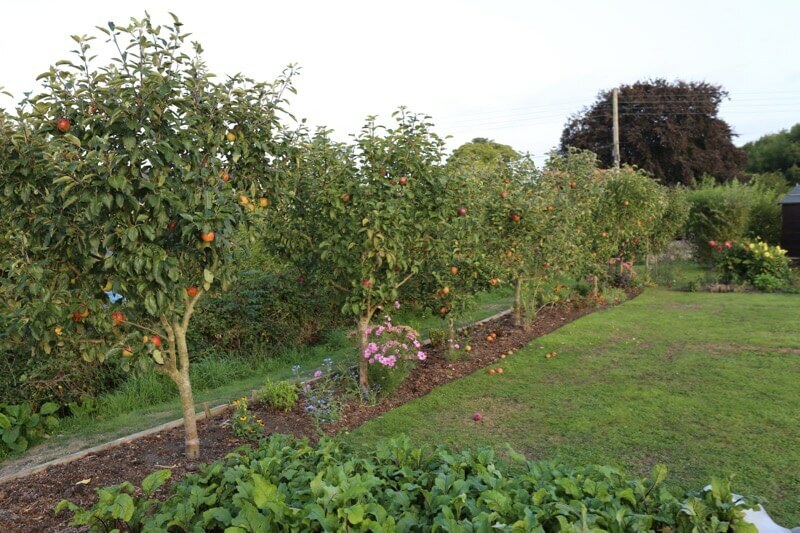 Pears and apples had swollen nicely in just-sufficient rainfall, but there is a lot of damage to apples from codling moth. Next May I plan to hang pheromone traps. We were planning to cover the ground with about 6” of rotted horse manure this fall and leave it over the winter. Is there a use for cardboard in this situation, perhaps on top of the manure during the winter? Or do you think it would be unnecessary? 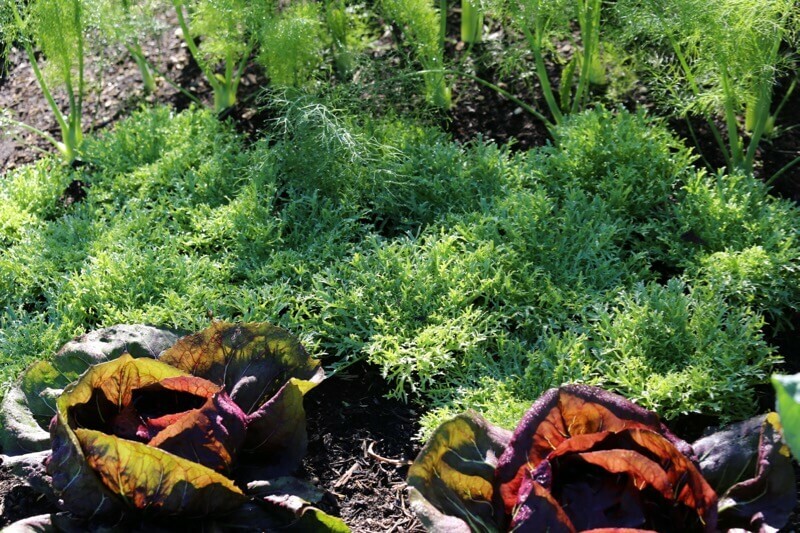 A Whether you lay cardboard first (or not) depends on weed pressure. 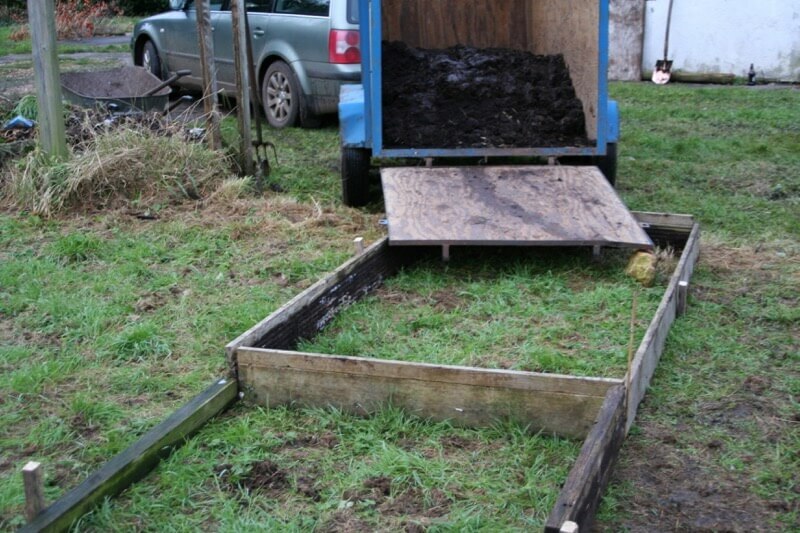 If there are loads of weeds, I would cover with thick cardboard, then compost on top. If few or no weeds, there is no need for cardboard. 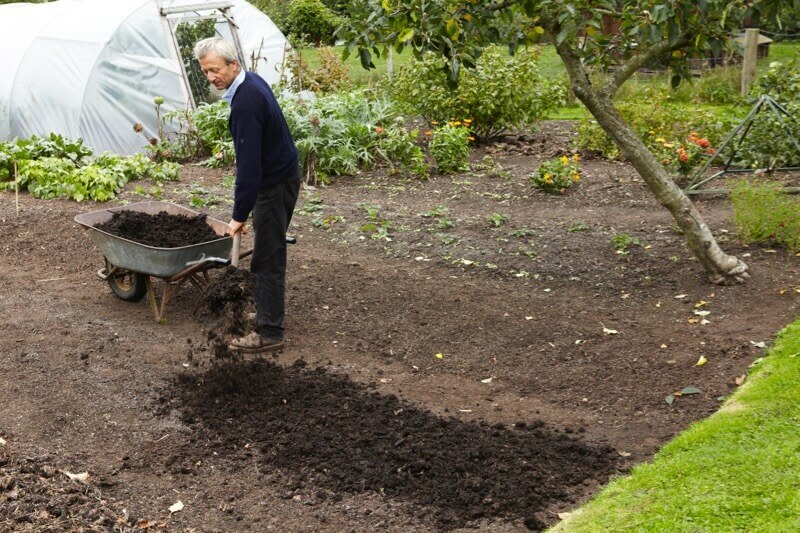 Just cover over with compost, which in your case is well decomposed manure. 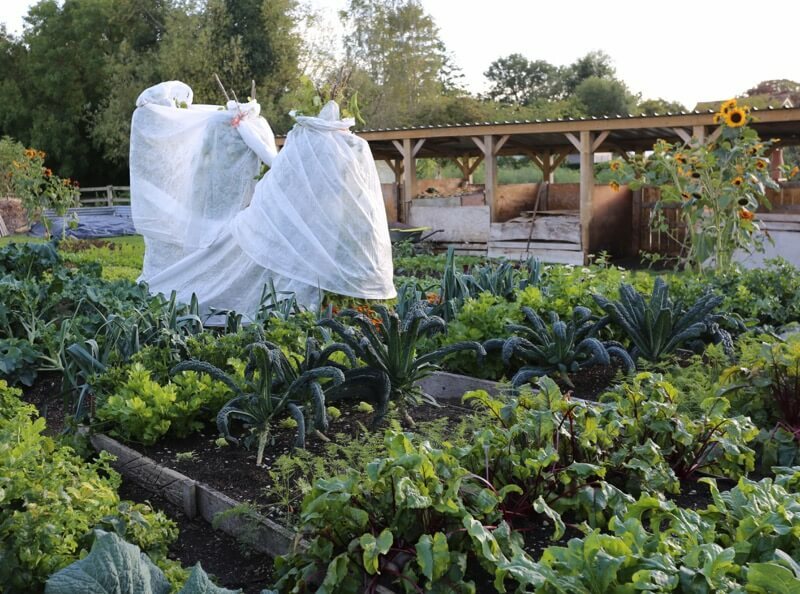 Also there is no need then to cover the compost. See photo below. Q Please advise on what to fill our new raised beds (about 6 inches deep) with, we need to order a delivery from local suppliers. We are on heavy clay and we could have either compost (horse,cow,mushroom) or “soil improver” which is a mix of grit, soil and compost. I don’t think that they have heard of No Dig as the receptionist foretold dire consequences of using pure compost! A Lottie, avoid soil-grit at all costs, soil is full of weed seeds and grit has no goodness. Compost is what you need, anything decomposed. I should like to spend five minutes explaining things to the misinformed receptionist. 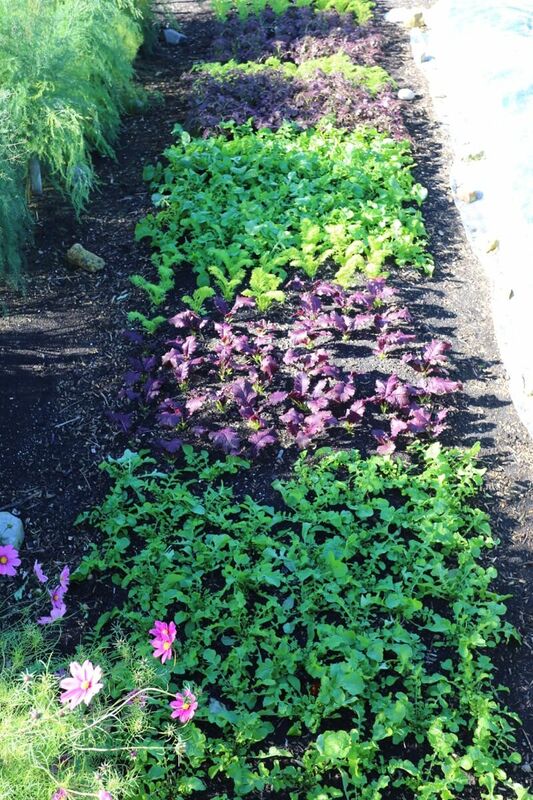 Homeacres garden is planted into compost, it appears to work! 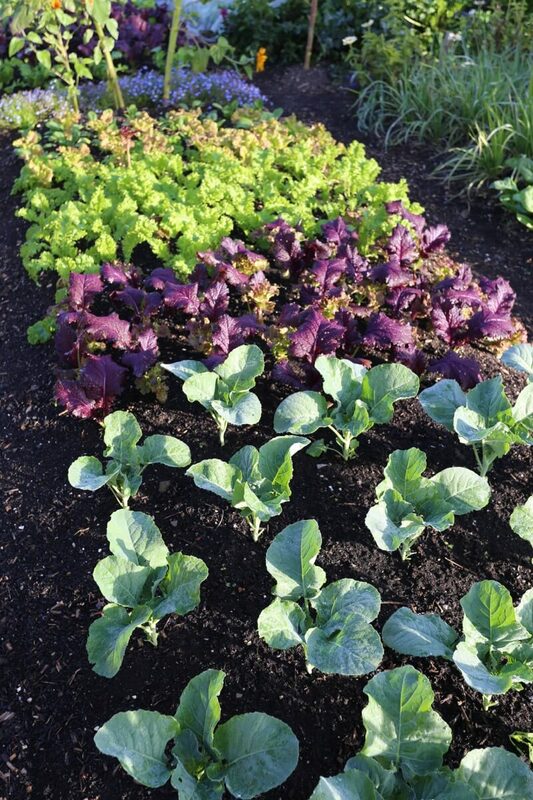 My FAQs page has answers to these questions, see no.’s 15.16 on bed filling, & 23,24 for planting into compost. REPLY from Lottie: Annoyingly I caved in to their pressure back in the spring this year when we were filling the first set of beds. You would have thought I was planning something truly outrageous from their response! 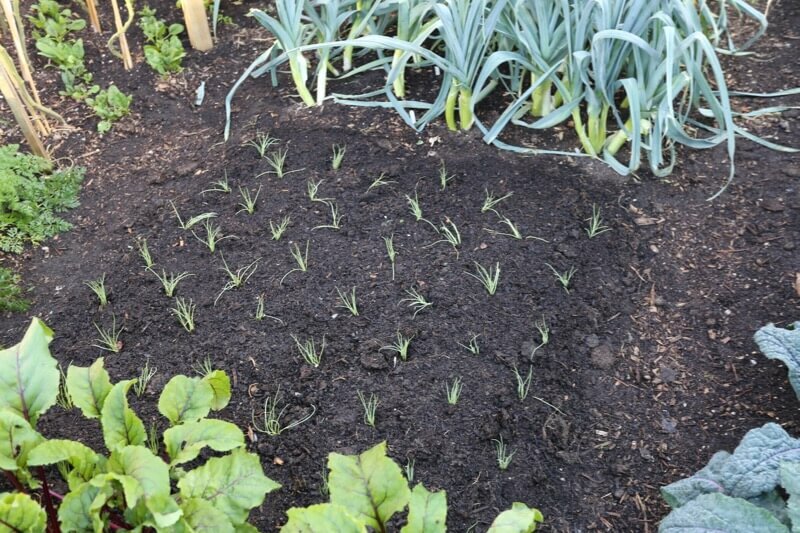 A You can mulch at any stage and if beds are weed free, simply spread compost on them. 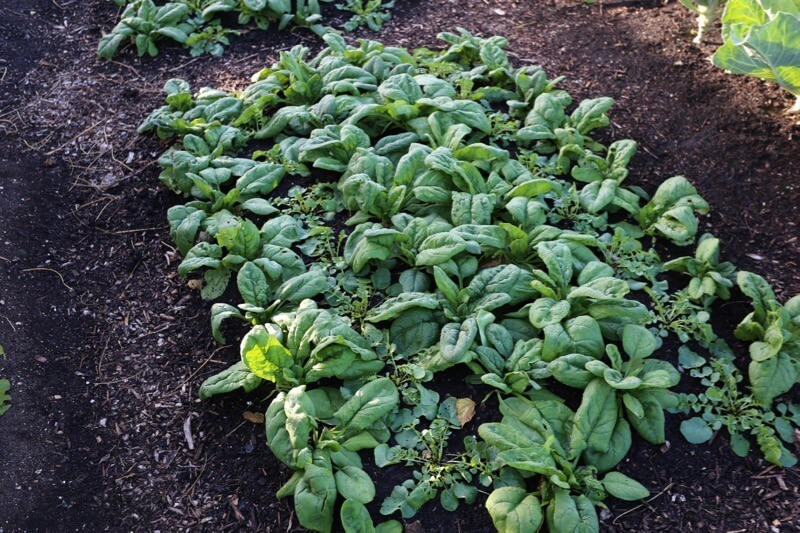 If many weeds, lay cardboard first then compost on top 2in or so. 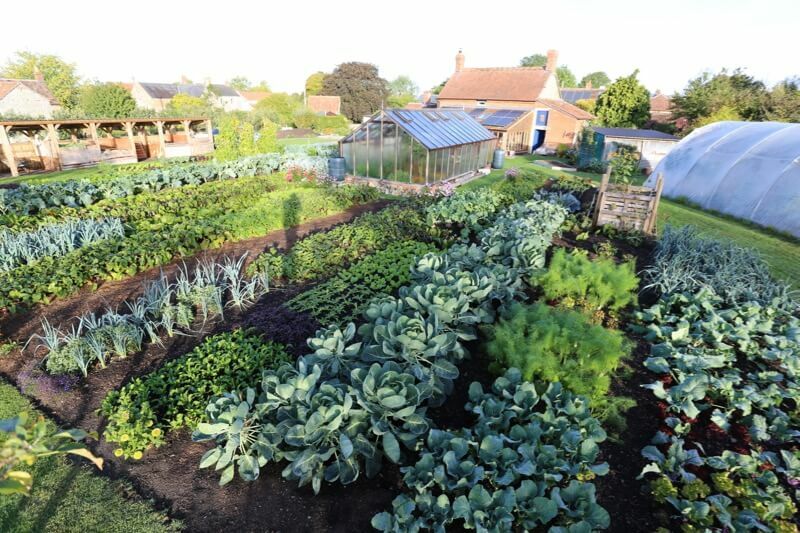 Think in terms of feeding all the soil life, once your ground is cleared of veg. Q (New beds made before coming on the course). Unfortunately, I can’t now remove the mypex membrane due to about 2 tonnes of earth/compost on the top, this is how I was told to construct the raised beds. 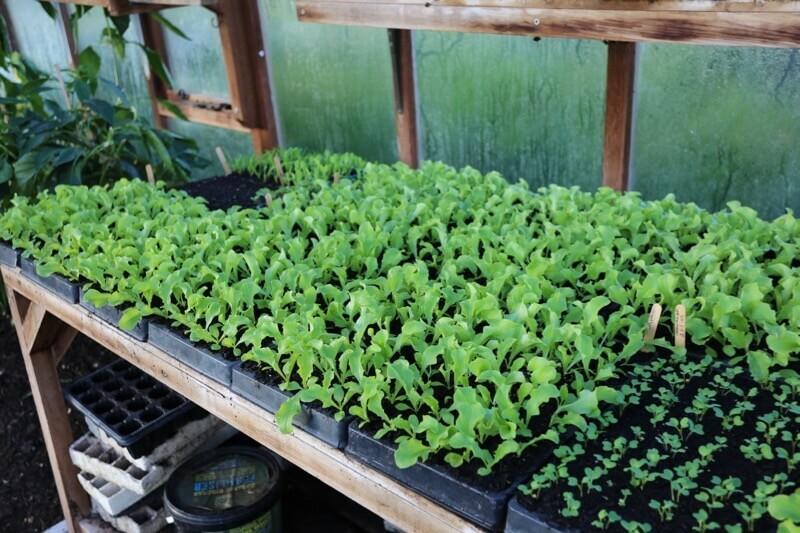 I could if pushed, put a fork down and ‘pop’ the membrane – but wondered if it would be easier to just buy in some earth worms and introduce them into the raised beds? A Ah what a shame. Whoever advised you on that knows not a lot and this is often the case. I would pop the membrane, otherwise it’s a horrible negative. And worms can then rise. 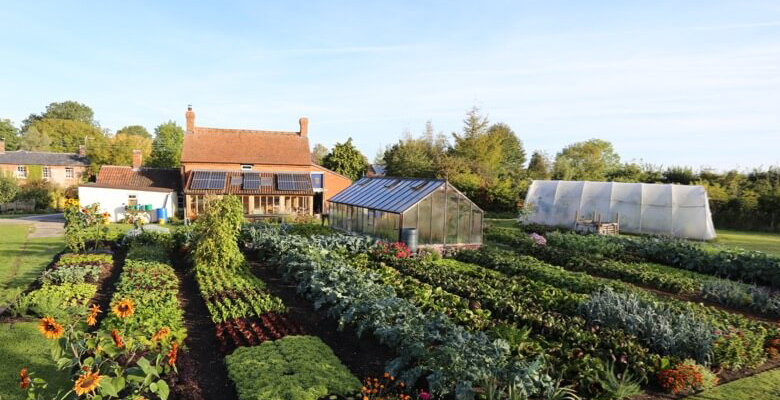 The Ecological Land Cooperative have obtained planning permission for smallholdings in Sussex, on bare ground: find out more here – you can apply. I absolutely LOVE the small garden. It makes me very happy every time I see it. There is always so much going on in such a small space and it’s lush, healthy and HAPPY. I have two small plots in my community garden that I have been clearing and then more weeds come on and then clear again and more weeds, etc. etc. etc. 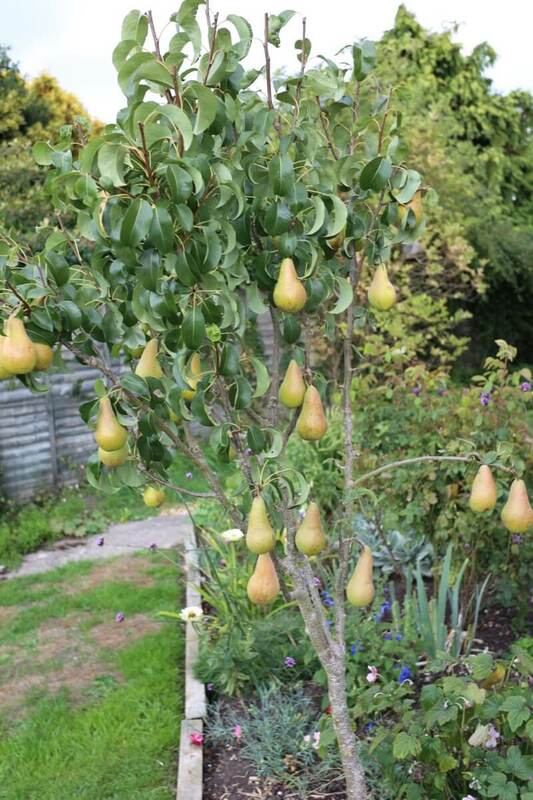 So glad to have found this method of gardening on a larger ‘smaller’ scale, if that makes sense. 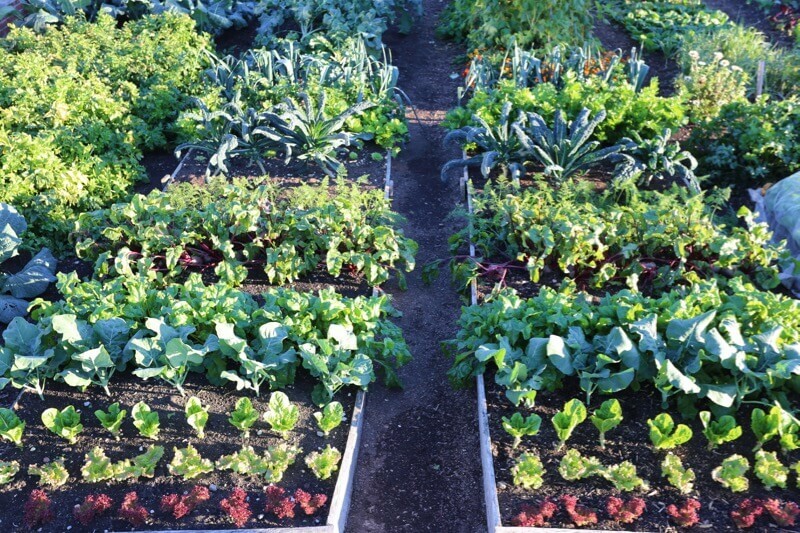 I’ve done this on small beds in my home but not in a garden setting. I’ve been discouraged from working on the plots because I’m constantly fighting weeds. This will be a good exercise for me to focus on this winter by gathering leaves – they’ll be out on neighborhood curbs soon – and cardboard to start with and compost on top of that. I hope my small gardens come out just as happy as yours is. 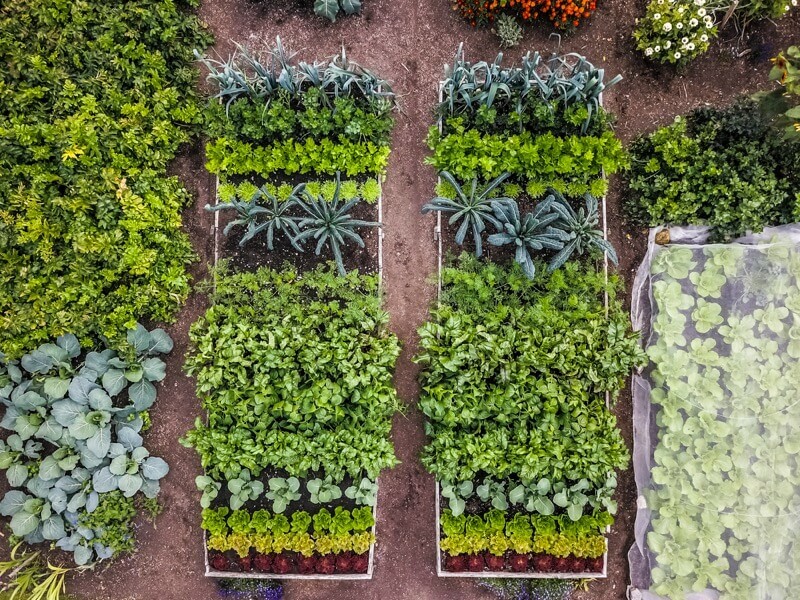 I am so happy to hear this Teresa and wish you success with your small garden project! Yes those trees are M26, the red fruit and MM106 the line of trees. 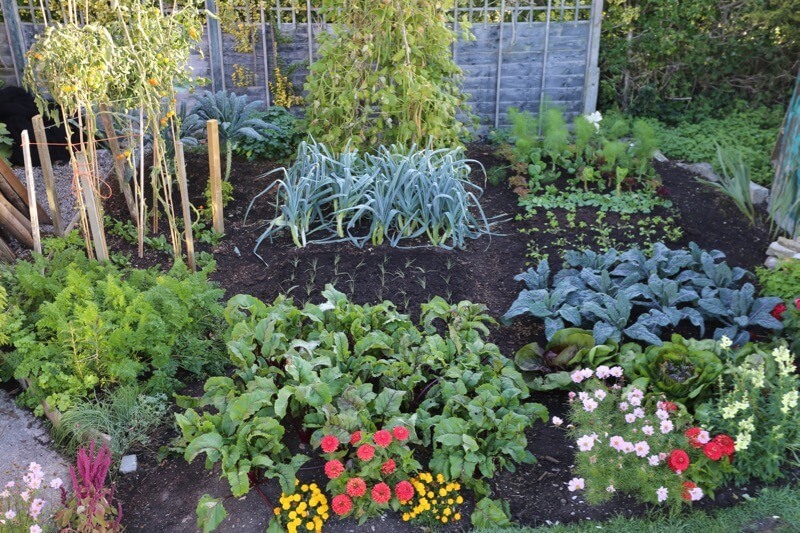 fFor smaller gardens I recommend M(, definitely, not too big yet a decent size and cropping 2nd summer. Thank you for your advice. I think I will go with the M then.